Let me start off by saying that if you are unfamiliar with MSTRKRFT (pronounced Master Craft) and are looking for the same type of sound from their hit single “Heartbreaker,” featuring John Legend, you will find yourself in an entirely different realm of music in Operator. Back after seven years of not releasing music, Operator is finally here, and it is faster, darker and heavier. MSTRKRFT continue to blur the lines between punk, rock, dance, trance, house and grime with infectious, hypnotizing distortion and beats reminiscent of trance and house music from the ’90s. Operator comes out with a sucker punch with “Wrong Glass Sir.” First we get hit with fast snares, which are only followed by a heavy beat accompanied with almost nightmarish industrial distortion. 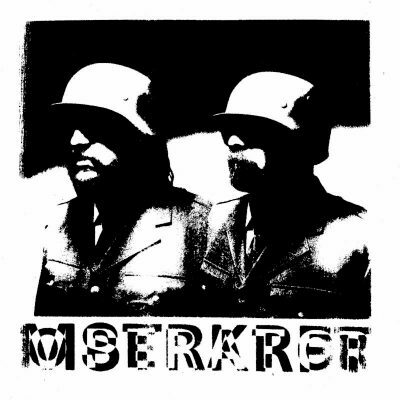 MSTRKRFT often shout over themselves in lyric-heavy tracks in this album. “Runaway” melds a soothing, robotic voice over a chord-heavy, instrumental-sounding track like a dance-punk Daft Punk song, whereas tracks like “Priceless” and “Go On Without Me” allow MSTRKRFT’s rock, punk and metal influences to shine through with gritty shouting lyrics and heavy, dark dance tracks accompanying it. Operator has strayed away from the more dance and trance sound that Fist Of God had, instead using that dance sound as a base but allowing a more dance-punk sound to be the focal point of the album. The gritty nature of the album “Party Line” highlights with its haunting spoken lyrics paired with an ’80s goth-rock-style dance track with dance bass and heavy distortion. Operator is a nightmare of an album in the greatest way possible. It sounds like the greatest hits of experimental grindhouse movies and the darkest part of a ’90s basement wave. In a world full of soothing, beach-inspired tropical house, and bubbly, poppy EDM, MSTRKRFT take dance music to a darker realm, allowing me to be a metalhead or a goth and still say that I enjoy a good dance track. In the seven years since Fist of God, it is apparent that MSTRKRFT are holding nothing back in experimenting and working with harder influences in a way that dance music needs.